By submitting this agreement you agree to its terms. I'm having a little issue with my website at the moment, so please go ahead and complete the online enrolment form here if appropriate, or send me an email at anita@springpointe.com.au or a text to 0450505389 if you need any other information. Apologies, and we'll get the website back as soon as possible! Term 2 classes commence Tuesday 23rd April. For the first class your child is welcome to trial the class to ensure you are happy with the class and its suitability for your child. If you choose not to continue with classes, this trial class is not billed. If you do decide to continue this class will be included in your term fees. Invoices are emailed within the first week of each term (or straight after the trial class if joining mid-term), and are payable by the due date. Refunds cannot be made once lessons have begun unless for medical reasons. Please provide your surname as a reference. For participation in a Holiday Workshop, no invoice will be emailed. Your child's place in the workshop will be confirmed via email once the fee is received (see above bank details) and this online enrolment has been completed. Classes are held on all public holidays and pupil free days unless otherwise advised. There is no set uniform for Spring Pointe and children are invited to wear the ‘ballet outfit’ of their choice. It is asked that they be neatly groomed with hair secured off their face, and wear leather or canvas ballet shoes. - Bring your child into the classroom and to the teacher, then remain discretely inside the classroom (or outside the classroom but still on the premises) for the duration of class. - Be available to the teacher in an emergency or if your child requires parental support. - Inform the teacher and ensure that she has your correct contact details should you need to be contacted. - Allow another parent to accompany and assist your child should they need to use the toilet during class. - Siblings who do not need to be present are not in the room. - No food is consumed. - You do not enter and leave the room whilst a class is in progress. You are always able to see through the windows from outside. I’m sure you’ll notice a difference in your child when we do our best to keep their learning focused and calm. A highlight of our dance calendar is the End of Year Concert. The concert is optional. A small portion of the Term 4 classes will be devoted to preparing for each class’s ‘concert item’ so even if not participating, children are able to attend Term 4 classes at no disadvantage. The costume generally costs around $60 (this may vary slightly from year to year) and children are able to keep their costume. Adequate notice will be given for payment of costume and, once ordered, the order cannot be altered. It may be possible, with an additional postage and admin fee to place a late order but no guarantee can be made. As costumes are ordered from catalogues, they may require slight adjustments to fit nicely. We are more than happy to provide details of reasonably priced, local and expert dressmakers to assist with this. Spring Pointe aims to provide a safe environment to reduce the risk of injury. It is the responsibility of the student, parents/guardians to notify the teacher in the event of an injury or medial condition prior to class. Spring Pointe students are under supervision whilst in class time only. Teachers and staff are not responsible for students outside their allocated class time. Spring Pointe strives to maintain a friendly environment for learning. We ask that any concerns be directed to the Principal. Images or videos may occasionally be taken in class for marketing purposes. If you do not wish for your child to appear in such images please discuss with class teacher and every effort will be made to not include your child in such photos. Images and videos may also be taken at the End of Year Concert, which will be available to view and/or purchase should you wish. 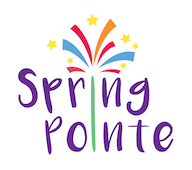 These photos/images may be included in the Spring Pointe website or Facebook page – once again please discuss with class teacher should you not wish for images of your child to appear here and every effort will be made to accommodate your request. Please provide any details of Medical Conditions of your child including allergies, behavioural issues, etc. By clicking submit, I understand and agree to be bound by the Terms and Conditions of this Enrolment Agreement.